Sozo for Couples follows on from couples own individual Sozos. It’s an opportunity for the couple to hear Father God’s voice for each other and to understand the root and reasons for the behaviours in each other that are blighting their relationship. Couple’s Sozo helps to deal with issues and involves an element of coaching, in which the couple agrees to work on elements of their relationship together and report back at the next session. 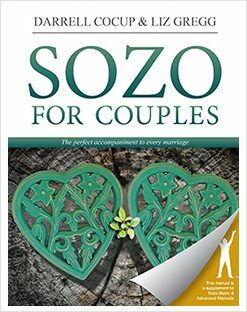 To learn more about Sozo for Couples and purchase the manual, please visit the Sozo for Couples website. Bethel Sozo UK Shop posts anywhere. We are happy to serve you. Bethel Sozo UK is a part of the International Bethel Sozo community working with the International Bethel Sozo leadership team in Bethel Church, Redding, California. Bethel Sozo UK is a registered charity in England and Wales 1154100, and Scotland SC044708.